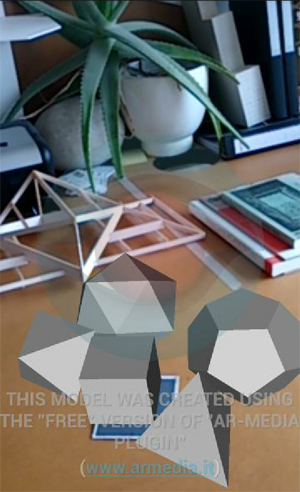 Image 3.3: Two Volume Cube and Relative Volules scheme. 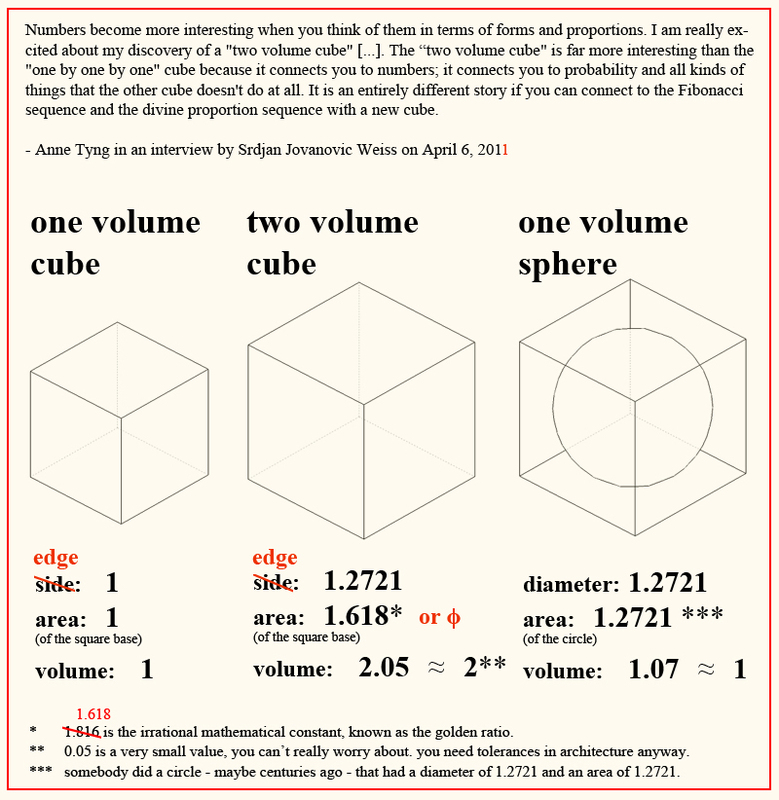 Image 3.4: Two Volume Cube summary. Image 3.1: Two Volume Cube scheme. 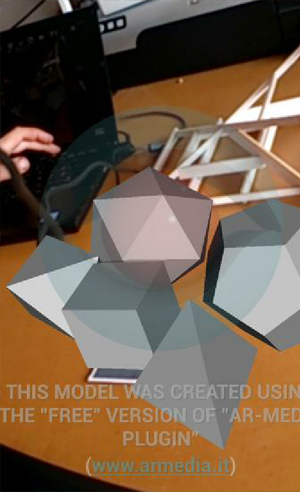 (one volume tetrahedron, two volume cube and octahedron, five volume icosahedron and dodecahedron). Image 3.5: Relative volumes in close embrace. Numbers become more interesting when you think of them in terms of forms and proportions. I am really excited about my discovery of a "two volume cube", which has a face with divine proportions, while the edges are the square root in divine proportion and its volume is 2.05. As 0.05 is a very small value you can't really worry about it, because you need tolerances in architecture anyway. 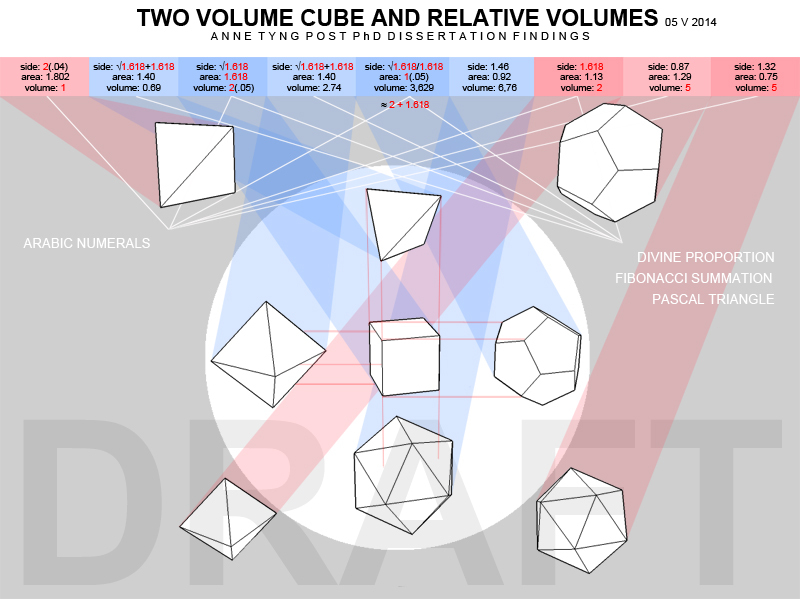 The "two volume cube" is far more interesting than the "one by one by one" cube because it connects you to numbers; it connects you to probability and all kinds of things that the other cube doesn't do at all. It is an entirely different story if you can connect to the Fibonacci sequence and the divine proportion sequence with a new cube. That’s another thing: the Two-Volume-Cube-Connection-Probability, it connects the cube to em... to the divine proportions.